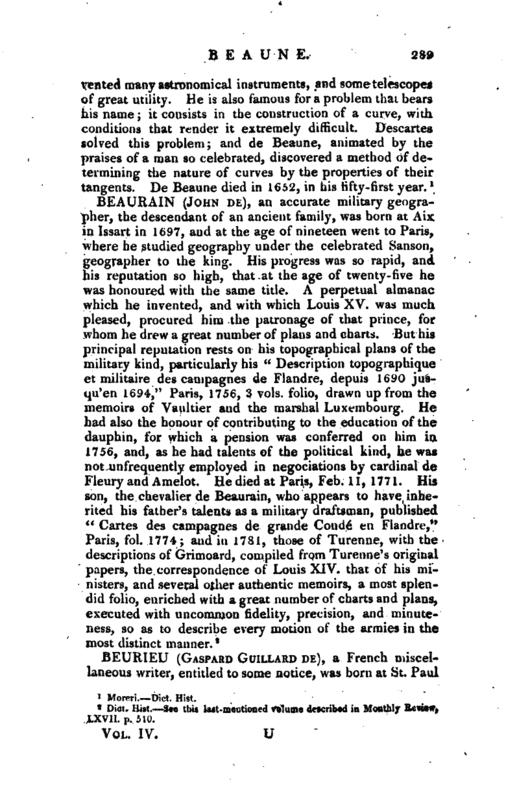 , a French miscellaneous writer, entitled to some notice, was born at St. Paul | in Artois, July 9, 1728, and became noted at Paris for hi oddities and his numerous writings. He affected great singularity in dress, and was not less remarkable for his bons mots and tart replies. When asked why he followed no profession, he said, “I have been too long enamoured of goodness and honour, to fix my affections on fortune.” He used to say that “Hfe was a continual epigram, to which death furnished the point.” There is perhaps not much in these, and probably the other witticisms we have seen attributed to him derived their principal effect from his manner, or from the person or occasion when applied. He was, however, a man of great humanity, and particularly attached to children, employing himself for many years in instructing them, and at last he procured admission to the Normal school, that he might contribute his share to the general plan of public education. His writings are, 1. “L’Heureux citoyen,” 1759, 12mo. 2. “Cours d’Histoire sacree et profane,” 1763 and 1766, 2 vols. 12mo. 3. “Abreg6 de Phistoire des Insectes,” Paris, 1764, 2 vols. 8vo. 4. “L’Heureux viellard,” a pastoral drama, 1769. 5. “Cour* d’histoire naturelle,” Paris, 1770, 7 vols. 12mo. 6. “Varletes Litteraires,” 1775, 12mo. 7. “De Talaitement et de la premiere Education des Enfans,” 1782, 12mo. 8. “L’Eleve de la Nature,” Geneva, 1790, 2 vols. 8vo, often. reprinted. It contains an ingenious sketch, but not very happily filled up. 9. “L‘Accord parfait, ou l’Equilibre physique et morale,” Paris, 1793. 10. 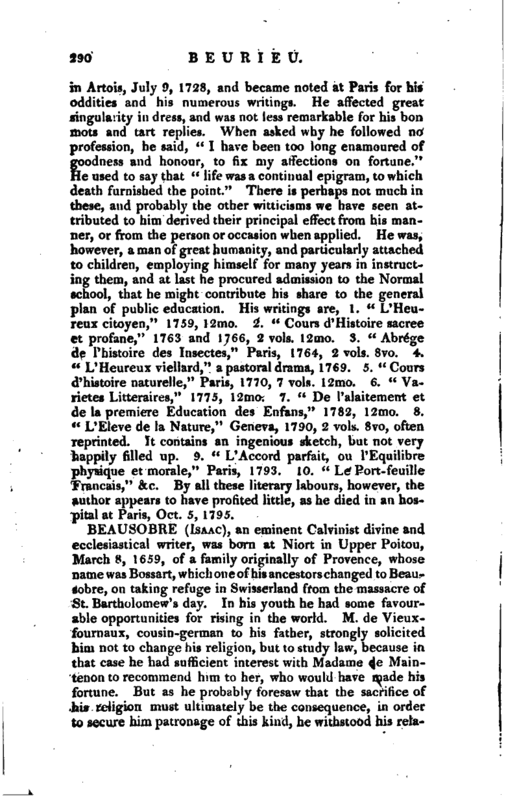 “Le Port-feuille Francais,” &c. By all these literary labours, however, the author appears to have profited little, as he died in an hospital at Paris, Oct. 5, 1795.